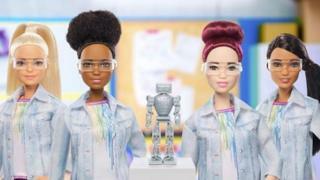 Barbie has just launched a new line of dolls, aimed at encouraging girls to consider careers in science, technology, engineering and mathematics. Robotics Engineer Barbie comes complete with her own moveable robot and laptop. The toy company says the new Barbie is aimed at helping girls see themselves as able to aspire to careers where women are traditionally under-represented. As children, many of us played with toys that were gendered for boys and girls - an uber-fit action figure for the boys and a slim, blonde, pink Barbie for the girls. Dolls that were differently-sized, disabled or non-white were practically non-existent. For children growing up these days, it's easier to find diverse dolls that suit their aspirations and look like them. Here are some recent examples of inclusive toys that have hit the market. The first hijab-wearing Barbie doll was released in 2017. The toy was made to honour an American fencer, Ibtihaj Muhammad, who became the first US woman to wear the Islamic headscarf while competing at the Olympics. Muhammad won a bronze medal while competing at the 2016 Rio Games. In 2016 Mattel, the makers of Barbie, also released a line of curvy, tall and petite dolls aimed at better representing different body types. In April, a controversial Frida Kahlo doll had to be pulled from sale in Mexico after a court ruled members of her family owned the sole rights to her image. The doll of the Mexican painter was part of a range based on "inspiring women". But her great-niece told the AFP news agency that the doll's complexion was too light and that it should have have "darker skin, a unibrow, not so thin because Frida was not that thin... dressed in more Mexican clothing, with Mexican jewellery". Lego unveiled three figures portraying female scientists in 2014. The range - known as Research Institute - featured a palaeontologist, an astronomer, and a chemist, all of whom were women. But the "inclusive" move came after a controversy over a heavily-criticised girl's range full of pastel pinks, with Lego briefly finding itself a key battleground in the debate about toys and gender stereotyping. 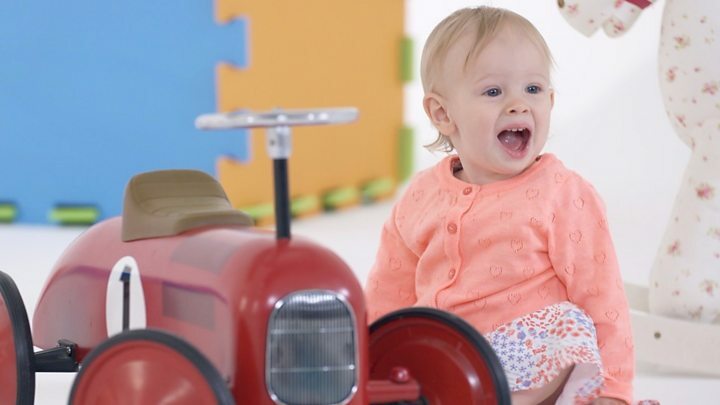 A 2017 BBC programme looked at whether non-gender-stereotyped play impacts upon how children see themselves, what skills they learn and their brain development. The experiment showed though that despite our best intentions, it's not always easy to overcome your own prejudices. Lottie Dolls, a start-up based in Donegal in the north-west of Ireland, makes dolls inspired by young people from diverse backgrounds and their hopes and aspirations. Three-quarters of the company's staff are women and the team crowd-source suggestions for their creations. In 2016, Lego released its first-ever disabled figure of a wheelchair-using character at the Nuremberg International Toy Fair in Germany. The move was met with praise from campaigners who wanted more diverse characters to include millions of disabled children who felt they were not represented by previous sets of the popular toy.